Oh please, somebody tell me how to disable radio. omg. the flippng radio is driving me mad and its not even my phone. elderly neighbour given phone for christmas and keeps turning radio on. she has no idea how she a) turned it on, and b) how she tuns it off so she is always calling me round to do it! These phones are clearly aimed at people who are sight impaired and want an easy use phone so why have the radio as the 1st option? can it be deactivated, permanently? 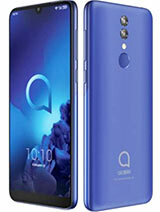 Had this phone for a week but find that it cuts out after about 52 seconds when you are on a phone call, you then need to either redial or ask the caller to call back very frustrating! Anyone else have this problem? 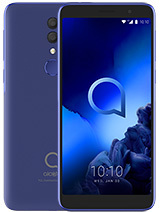 This phone has a decent hardware, but designer (programmer?) choice to put FM radio activation to UP button, with two steps for FM deactivation, was very annoying not only for old mother but also for me. At the same phone you need two steps to list contacts ??? 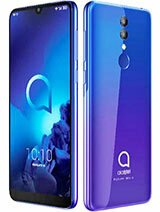 I do not hate my mother so I bought other phone to her. 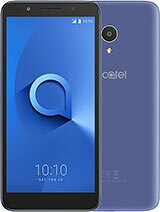 Alcatel please do something, because It is a shame to release so bad software on the phone. How to connect to win7 to get sofware upgrade? The utility says i must long press * and connect the calbe when the phone turned off. And when should I release the * key? Before connecting or after or long after connecting??? AnonD-147426, 17 Apr 2014Niece phone, ideal for old people.No mms!!!! Did anybody experience when the phone is ringing it might be too soft although has put it on it's full volume? Nick, 14 Jun 2014Funny think happened when writing a text SMS. Need to put in the text the number 100, but I co... moreI havent used the phone but something you can try is holding down the 0 button or holding down * or # to enter number mode. sorry to be so vague. 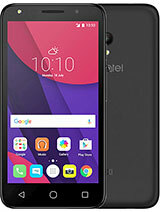 ideal phone for my mummy..
Nice phone with large buttons which are ideal for the older person but I agree with the first posted review the radio is a problem. It has priority on the menu so my mother keeps initiating it and when then radio comes on she panics and finds it tedious to get off. We purchased this primarily for the phone and while the radio is useful, it should the last item on the menu list. AnonD-147426, 17 Apr 2014Niece phone, ideal for old people.Not really, it looks like it's good for older people (large keys, large fonts), but the user experience is horrible. I don't know what Alctel where thinking when coming up with the user interface, but they failed. For example, pushing the up arrow turns on the FM radio, which can happen quite offten by accident and there is the no easy way to turn it off (without going into the menu). My grandmother freaked out for a while, cause she had no idea what's causing the noise coming out of her phone. Good idea, unfortunately very bad implementation. Niece phone, ideal for old people. 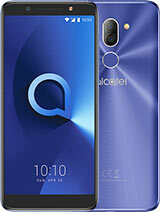 Total of 19 user reviews and opinions for alcatel 2000.